Mixars CUT is the definitive Battle mixer. It's a solid mixer with 2 channel switchable Phono/line inputs and an independent MIC input with dedicated EQ. The XLR Main output allows easy mobile or club install. 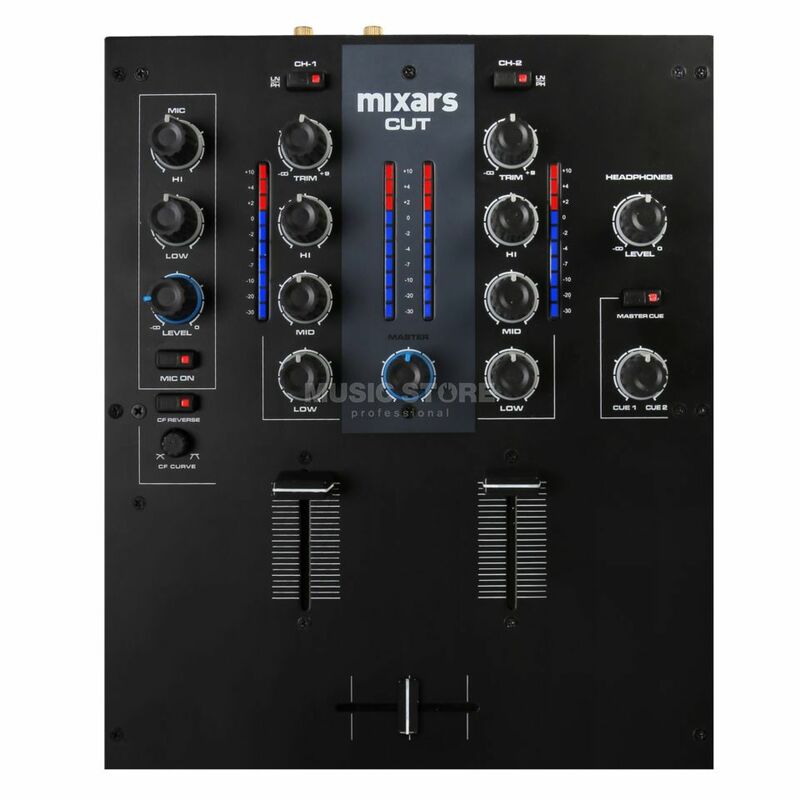 The Mixars CUT mixer also includes features like cross-fader curve adjustment and reverse switch, Master Cue, Record Output and 6.35mm & 3.5mm headphones output. This is not a Mixer, it's a Mini-Tank!